Microsoft’s monster acquisition of LinkedIn on Monday has analysts looking at other potential M&A targets in the tech space. 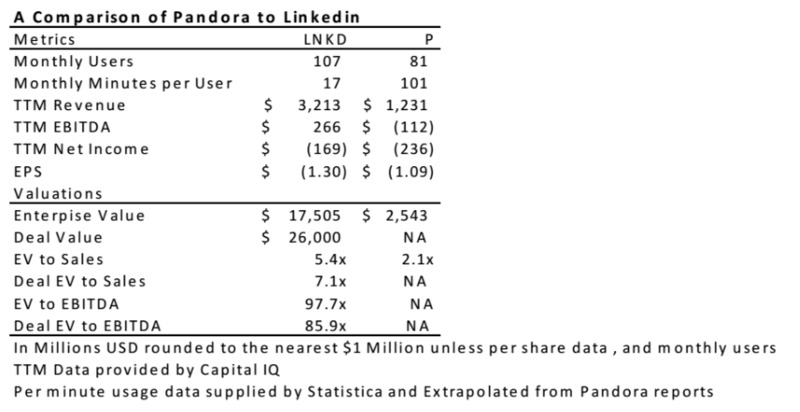 Two that have jumped out are Twitter and Pandora, which have both built large user bases but whose shares have been under pressure recently. There have been rumours on and off that Pandora could be for sale, and last month activist investor Corvex demanded the company sell itself. CEO and founder Tim Westergren, who returned to the CEO spot in late March, has repeatedly said the company is not for sale. 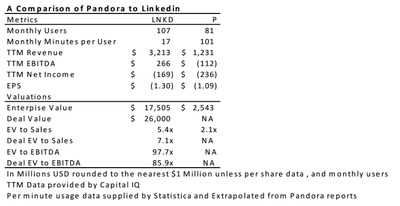 Pandora has been cited as an attractive acquisition target in the past. The streaming music company appeared on a recent Goldman Sachs ranking of the tech companies most likely to get acquired in the next year. 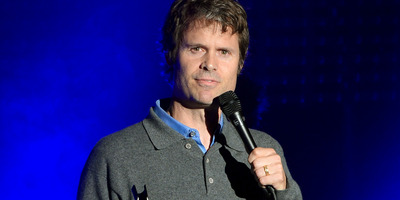 Under Westergren, Pandora is a company on the brink of a radical transition. Two high-profile acquisitions last year showed Pandora’s ambitions to break beyond “internet radio,” with a particular interest in on-demand streaming, which would put it into more direct competition with Spotify and Apple Music. Pandora in November bought key assets of the embattled streaming service Rdio for $75 million, and the company has said these are critical to its plans to move into the on-demand arena. Pandora’s stock is down a little over 1% in trading on Monday.